Home of the Grand Champion that Really Works! 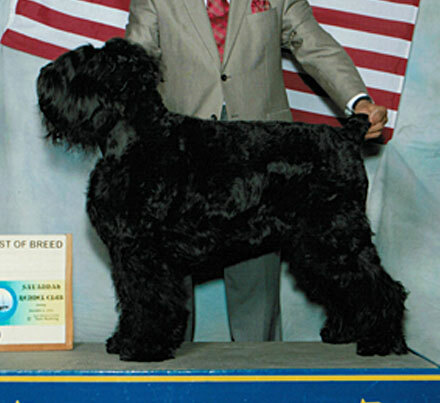 Queens Over has the only dogs that have received both VDX & PDX awards. 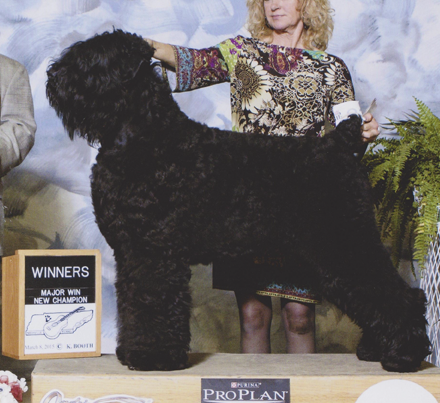 FIVE of our breeding stock have attained that success. and courageous dog with self-assurance. 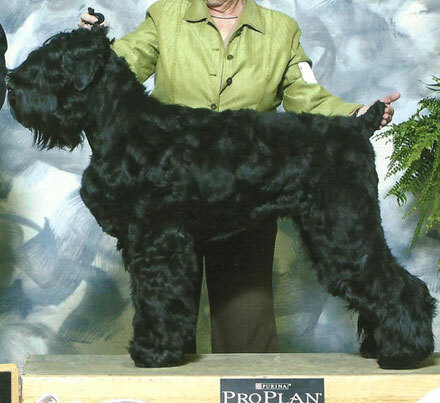 They are extremely reliable and very smart dogs. 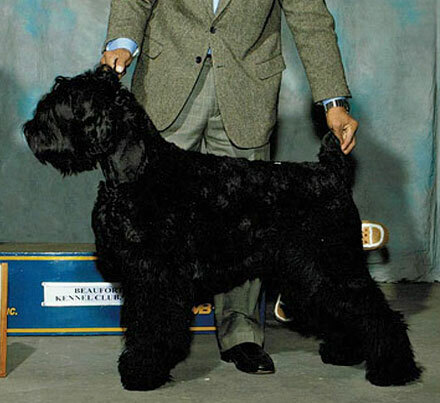 They were bred to guard and protect during the 1930’s, a military kennel named the Red Star, out of Moscow, started working on a native breed that would be part of the national security force. 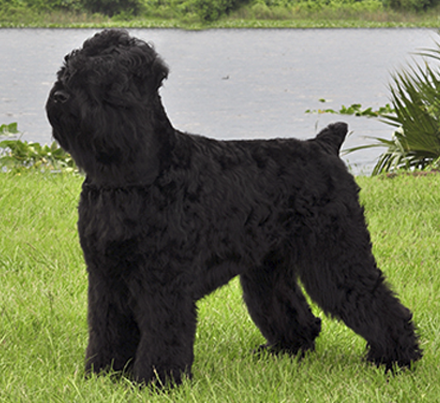 The Black Russian Terrier requires human attention and affection. These dogs cannot be left alone as an outside dog. 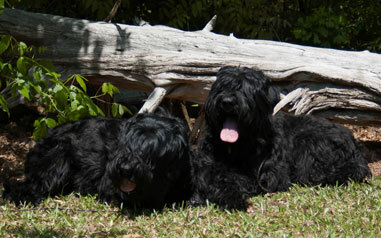 They want to be close to family and are loyal companions. 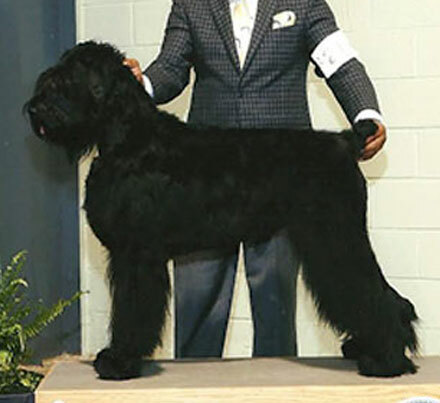 Obedience training and early continued socialization are required in order to keep the breed from becoming overly protective. Because of their intelligence, they excel in Rally, Obedience, protection work, drafting and tracking, and can be trained to do almost anything including dock diving, water rescue, weight pulling and search and rescue. 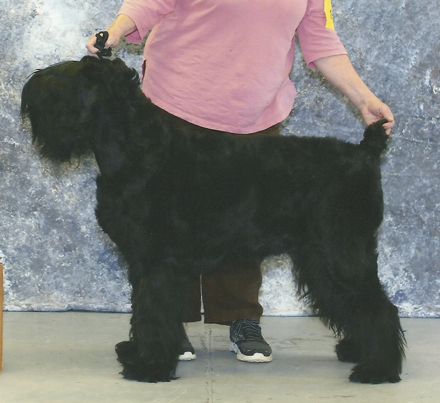 Queens Over Black Russians are trained and handled by owner Edea Caldwell. 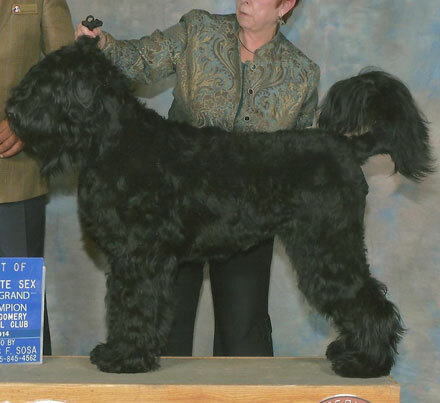 They are also shown in the conformation ring, owner-handled, with the super assistance of several wonderful professional handlers including Mel Holloman and David Rich. 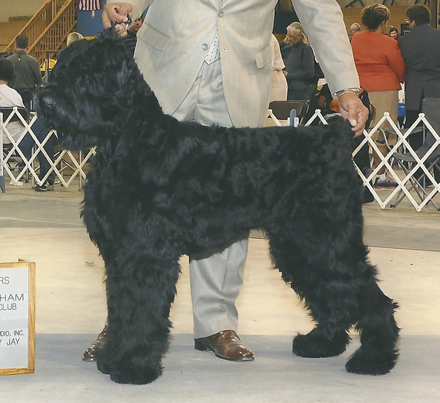 Our puppies were selected to be the featured litter on Animal Planet’s Dogs 101 – Black Russian Terrier segment. 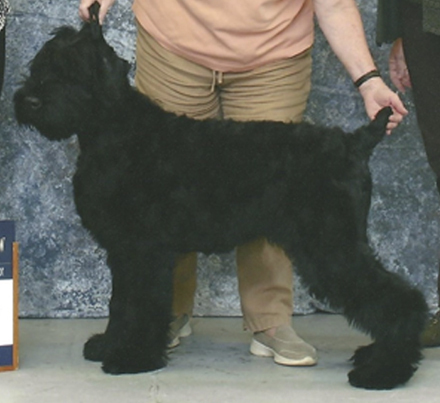 IABCA Nat’l & Internat’l Baby Ch. 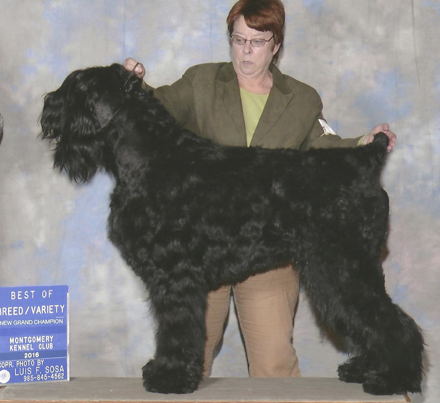 AKC/UKC GCh, IABCA/ICE Honors – S Ch. 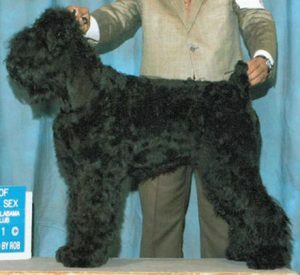 AKC GCh-B, IABCA Nat’l & Internat’l Ch. 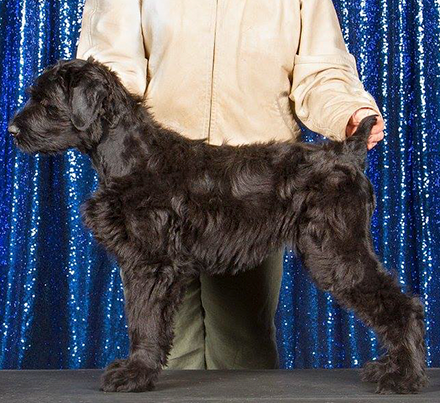 AKC Ch., IABCA Nat’l & Internat’l Ch.